Thank you for your purchase! Your order is almost complete…. 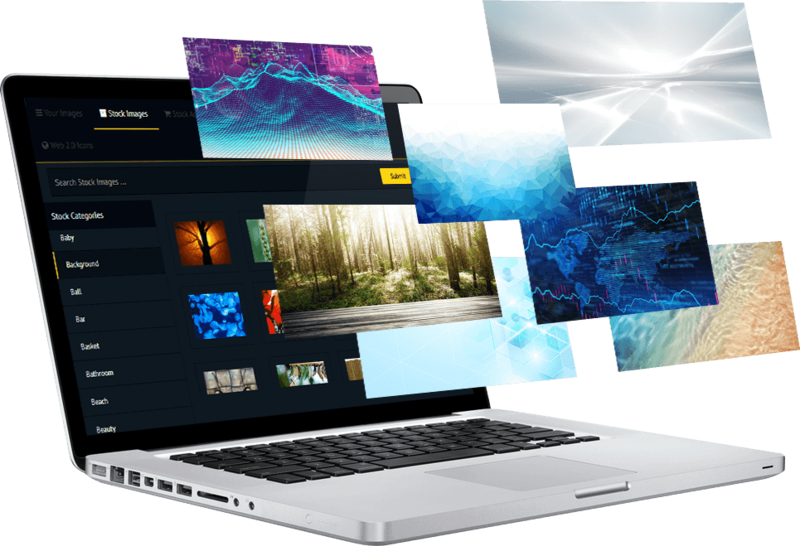 Upgrade To Sqribble PROFESSIONAL 2019 To “FULLY Load” Sqribble With 150 NEW Hot & Premium Templates, 99,000+ Articles, ENHANCED Content Engine, UNLIMITED Storage, 8,900+ Design Collection, TURBOCHARGED Features, ENDLESS Customization & MORE! 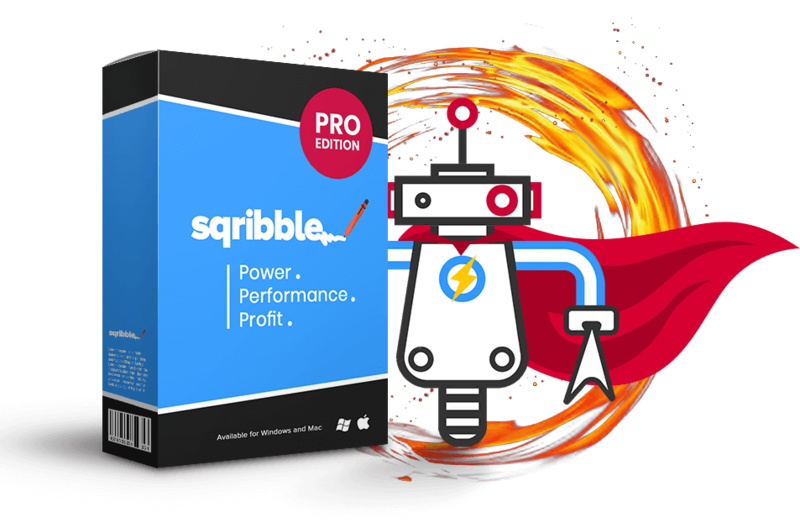 Sqribble PROFESSIONAL will turbo-charge your ebook design, automated content, lead generation, sales and profits! That’s right — upgrade to Sqribble Professional edition right now, and you’re unlocking $86,799 worth of red hot eBook templates, more designs, stunning graphics, enhanced features AND ready-made content, perfect for your personal projects, high volume publishing or client work! real life value = $7500! Triple the amount of eBook templates inside your private library, giving you almost endless design options for your next project! You’ll find an incredible array of visually stunning, and high converting designs spanning 15 niche categories in this exclusive upgrade option! To outsource just one template on Upwork, or buy a template from a stock website could cost you at least $50. And to design 150 templates, you’d have to pay up to $7,500 or more! But TODAY, for a limited time only, you’re getting them for a tiny investment when you upgrade to Sqribble Professional. real life value = $79,200! 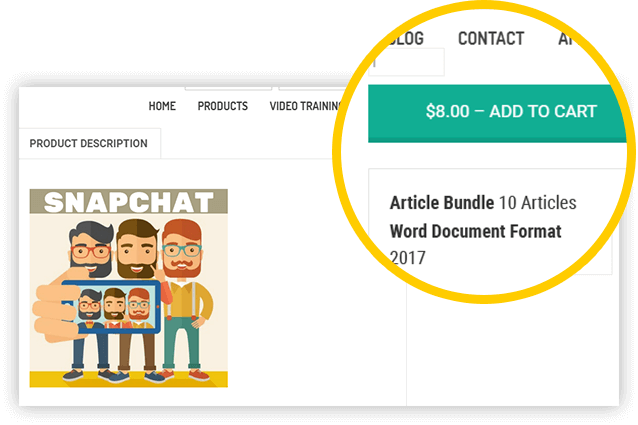 Instantly expand your content engine library, with a huge database of 99,000 (that’s NINTY NINE THOUSAND) ready—made content articles for you to insert into your niche books and reports! To buy 99,000 of these articles would cost you $79,200! These are real-world prices you’re seeing. But you DON’T have to pay anything like that when you upgrade to Sqribble Professional today! Upgrade to Sqribble Pro right now and instantly UNLOCK 99,000 prewritten articles across ALL kinds of niches — perfect for client work or your own niche projects — and save tens of thousands of dollars! real life value = $99! Need a cool image or funky background for your pages? Upgrade to Sqribble Professional and instantly unlock 8900 stock images and backgrounds you can legally use right now to bring your ebooks to life! Stock image bundles likes this are usually priced anywhere between $50 — $99 online. But this entire package is all yours, along with everything else we’ve already mentioned, for a tiny one—time only investment today! Found a page style you like in another Sqribble template? Click “copy”, then head over to your ebook and hit “insert” and voila, that page is instantly added to your current ebook! Gives you 800 NEW cross-template combination options! Whether you’re creating 10, 50 or 1500 books, Sqribble Professional allows you to store them all in your library, whenever you need them. You’ll never have to delete saved designs to free up space! Perfect for your personal projects, or high volume publishers. The world is your oyster as you are now able to customize your ebooks to your hearts content! Change colors, themes, backgrounds, fonts, designs and more, with as little as 1-CLICK! Plus, FREE Agency License Rights! This allows you to sell all the NEW designs and ebooks you to create with Sqribble Professional to your clients, and keep 100% of ALL the money you make! Never pay us a royalty, ever! Sqribble professional will give you the ability to have a larger collection of designs that you can sell to all types of clients, in any niche. 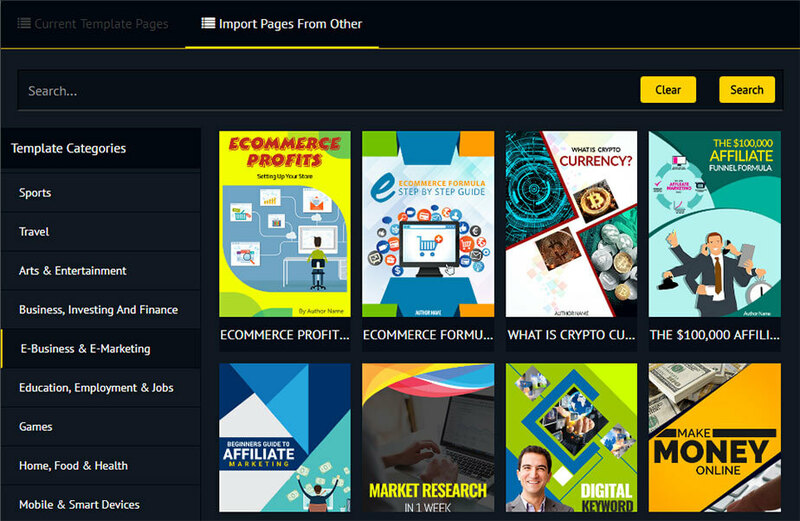 You’ll find amazing designs to use and sell in categories such as sports, religion, health, fitness, arts, music, fiction, business, marketing, financial and more! In fact, there’s so much more power and features to list that this page may never end! Upgrade to Sqribble Professional now, before this offer expires! This is a one—time only offer. Upgrade to Sqribble Professional right now, only from this page, to avoid missing out $86,799 worth of bonus content, including 150 bonus eBook templates, thousands of bonus images and graphics, 99,000 ready—made articles, unlimited storage and the ability to mix & match templates! 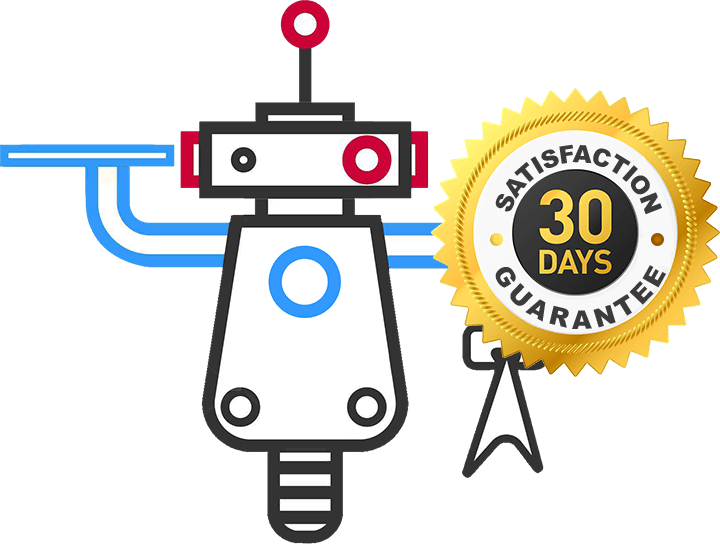 Your purchase is protected by a full, no—questions asked 30-day guarantee: If Sqribble Professional 2019 doesn’t TURBO-CHARGE your business, save you time and money, increase your sales or build your list faster, then we don’t want your money! Just give the upgraded Sqribble Pro 2019 software a try, unlock stunning ebooks with the new templates, more design layouts, more features, more content, unlimited storage, and help you profit from clients, for an entire 30 days, and if you decide it’s not for you, we’ll happily give you ALL your money back. We’re here to support you, and your business! What is Sqribble PRO 2019? 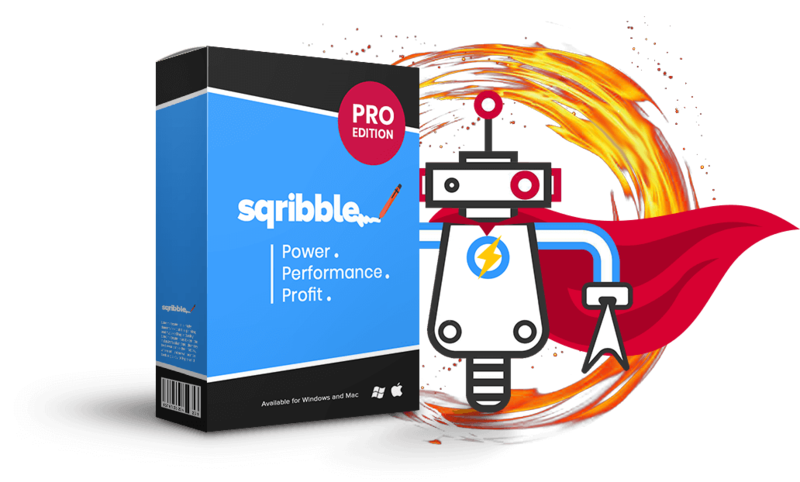 Sqribble Pro 2019 is an upgrade edition that will turbo-charge your Sqribble software that you just purchased! 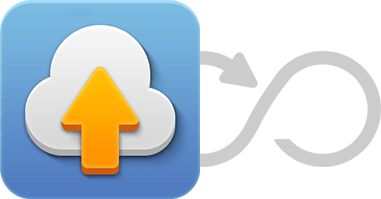 It comes pre-loaded with MORE templates, MORE features, MORE designs, MORE content, UNLIMITED use, UNLIMITED storage, UNLIMITED editing and more! Nope! 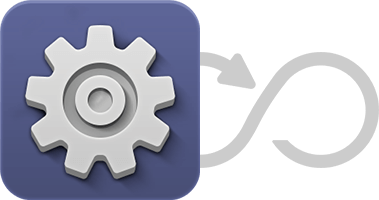 Upgrading to Sqribble PRO 2019 will automatically upgrade your Sqribble account online and UNLOCK all the PRO features and templates as described above! You can access your Sqribble PRO account from any computer worldwide. Is This A One-Time Upgrade Fee? Yes. This is just a ONE TIME upgrade fee and Sqribble PRO 2019 comes with unlimited use! There are no monthly payments. The price will be increasing so lock in the LOWEST special rate today and turbo charge your ebooks and downloads! Can I Sell The Ebooks I Create With Sqribble PRO 2019? YES!  A commercial agency license is INCLUDED which allows you to sell the ebooks you create to clients! We will never charge you for a royalty. YES! Upgrading is completely RISK FREE. We have been in business for over 10 years, and strive for 100% satisfaction across all our products, including Sqribble PRO 2019. If for any reason you’re not satisfied simply email us within 30 days with your receipt for a full refund. We know you’ll love our products and continue to purchase from us in the future too! No thank you, I don’t want to turbo-charge my ebook design, automated content, lead generation, sales and profits. I’m not interested in upgrading to get 150 EXTRA stunning ebook templates, 99,000 articles, 89,000 stock images, 900 page design layouts and MORE. I understand that if I skip this offer I may not redeem this discounted price later if I change my mind. Every effort has been made to accurately represent the product(s) sold through this website and their potential. Any claims made or examples given are believed to be accurate, however, should not be relied on in any way in making a decision whether or not to purchase. Any testimonials and examples used are exceptional results, don’t apply to the average purchaser and are not intended to represent or guarantee that anyone will achieve the same or similar results. Each individual’s success depends on his or her background, dedication, desire and motivation as well as other factors not always known and sometimes beyond control. There is no guarantee you will duplicate the results stated here. You recognize any business endeavor has inherent risk for loss of capital. Basically, we can’t force you to take action so therefore we cannot promise any success. We do not believe in get rich quick programs. We believe in hard work, adding value and dedication to reach your goals. It’s a fact that one that does not take action will see no results whatsoever. The results featured on this page are not the norm and are extraordinary results from hard work, commitment and dedication by following through and taking action. You will get no results whatsoever if you assume by soaking up information products, joining program after program your life will change with riches. This is not for you. Your results are based upon your actions. If you want a magic button that will fulfil your life with riches then please leave this page and do NOT purchase. Our products are intended to help you share your message with the world whilst growing your business. We don’t make any guarantees about your own results because we don’t know you. Results in life are solely based on decisions made. We are here to help and guide you to move forward faster by giving you awesome content, tools, direction and strategies to reach your end goal. Please check the content thoroughly on this page and that you are committed to taking relentless action and will put in the effort before you decide to make a purchase. If not then please leave this page and do not purchase. This website in no way is affiliated with FaceBook or any FaceBook entities. Once you leave FaceBook the responsibility no longer is on their site. This website and all content herein is protected under copyright law and the Digital Millennium Copyright Act. Intentional, or unintentional copying, duplication, modification and theft is prohibited, and violators will be dealt with at the fullest extent of the law.